The fall has come and gone, Christmas vacation is here, and soon it will be 2017. This means the seniors are coming closer and closer to graduating. The nerves are high all around the school as seniors are deciding which college they might want to attend. Thankfully, on Thursday, Dec. 22 close to 30 Rockland alumni were generous enough to come back and give advice to students about college. English teacher Kristen Walsh and guidance director Margie Black organized an assembly in the lecture hall where seniors got the chance to ask all the questions that are bothering and scaring them about college. The 12 alumni on the panel were very patient and serious with the seniors, giving them great advice that they can take with them to benefit them in the future. This was truly a great experience and hopefully the seniors next year will get the same benefits that this assembly gave to this year’s seniors. The alumni panel in the lecture hall answered questions about their college experiences. Kallie Morss -UNH, Danielle Hill -Mass College of Art, Molly McDonough – Plymouth State, Richie Walls – US Marine Corps. Elf on a Shelf Spotted at RHS….and Santa too! 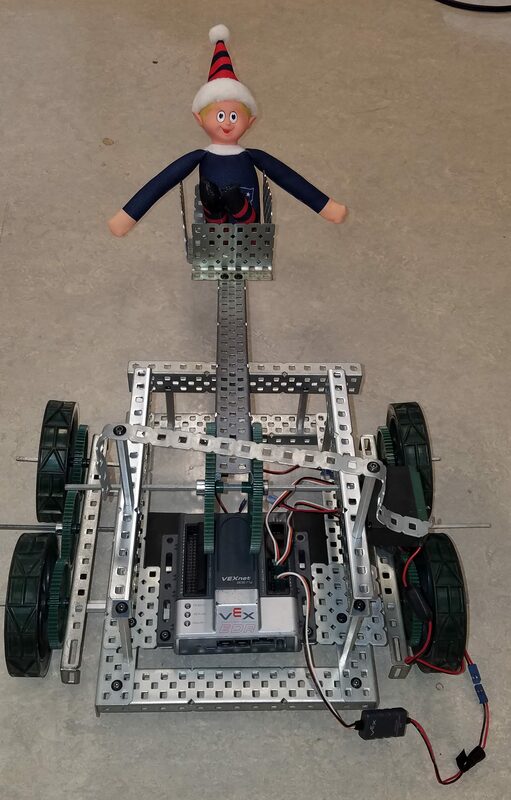 Jingle the Elf has been spotted around Rockland High School this month. Where will he pop up next? Send us your selfie if you see him! 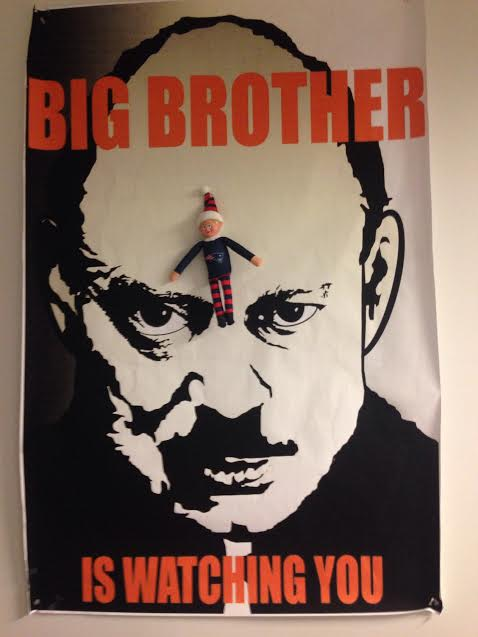 Big Brother and elf in Mr. Bigsby’s room. 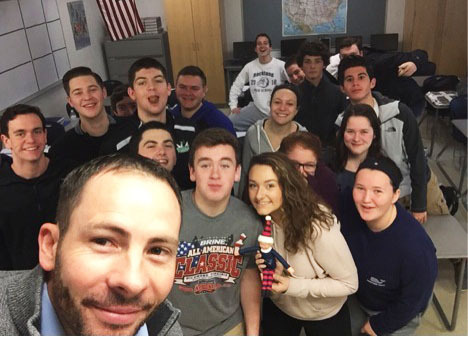 Mr. MacAllister’s class captured elf, but not for long. 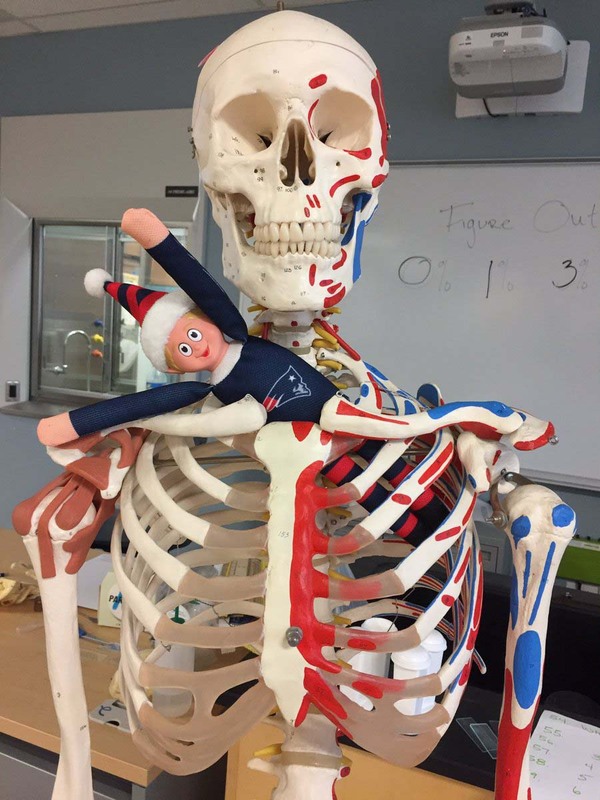 Elf seems to be demonstrating a scientific principle for Mr. Robin’s class. 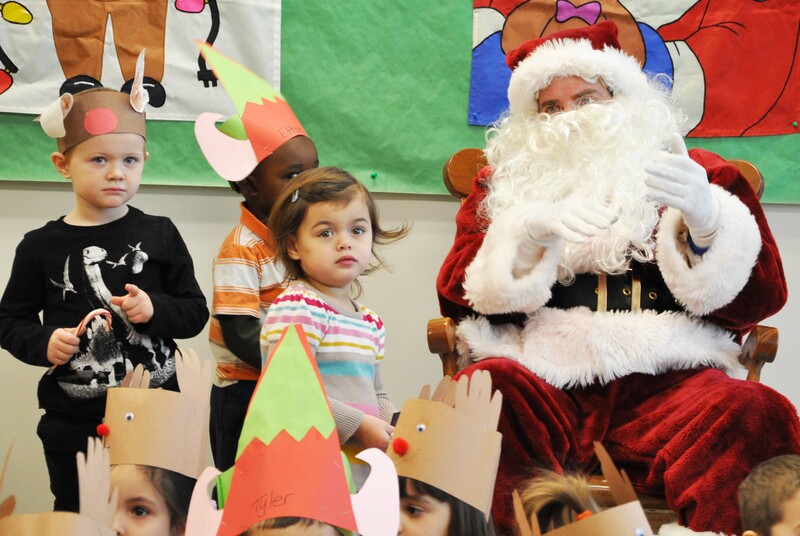 Santa was also seen on Tuesday in the preschool classes. Word is that he visited all the elementary schools. 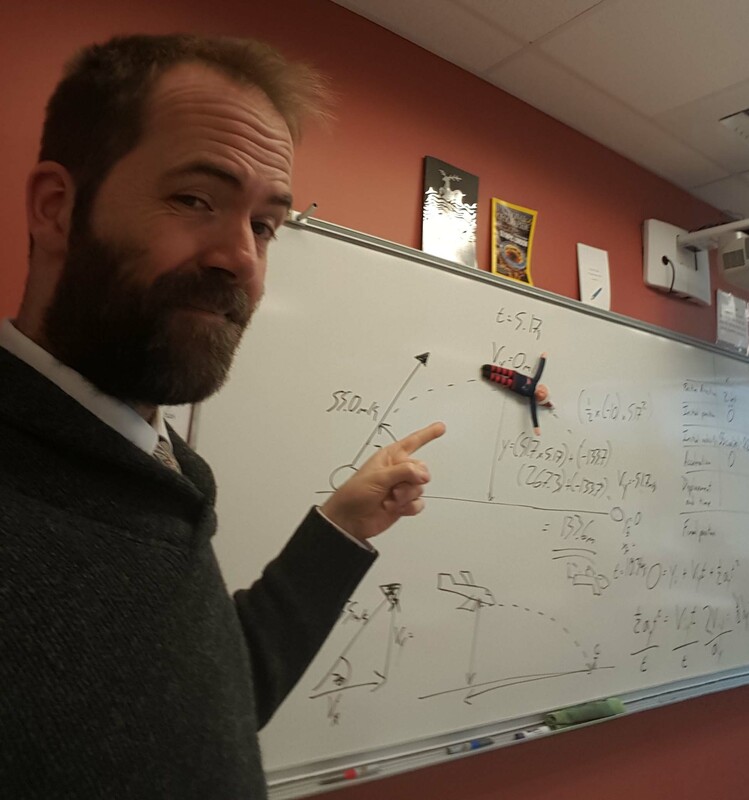 Why not the high school. We still believe!! Santa Claus visited the preschool on Tuesday. With Winter Holiday Break soon approaching so isn’t the Spirit Week that comes the week before! Students and teachers have the fun opportunity to celebrate the break and holidays with fun and silly themed days leading up to the break. Monday: Cozy Day- A day dedicated to getting comfy and going to school in your comfy clothes. Tuesday: Favorite Sports Team Day- On Tuesday you can support you favorite sports and teams, whether its a national team or RHS sports team is up to you! Wednesday: American/Camo Day- Support you country by wearing red, white, and blue and camo on Wednesday. Thursday: Ugly Sweater Day- Friday is the perfect day to wear the pitiful sweater you might have received as a gift last Christmas. Or just dress up in holiday themed clothing. SGC thought it would be fun to get the teachers involved too, sooooo they have an incentive for them. For each spirit day, whichever teacher shows the most spirit both through dress and overall attitude, they will receive a $15.00 gift card from Target. The students on Big 5 in SGC will make the final decision at the end of each day. SGC can’t wait to see everyone’s spirit!!!! On Friday, Dec. 9 and Saturday, Dec. 10 at the RHS auditorium 7 pm Rockland High Schools Theatre Guild performed the musical Grease. The cast and crew have been preparing for the show since October along side directors, Joanne White and Kendra Donovan. Sophie McLellan played the leading role of Sandy Dumbrowski with Ryan Struzziery playing leading man, Danny Zuko. 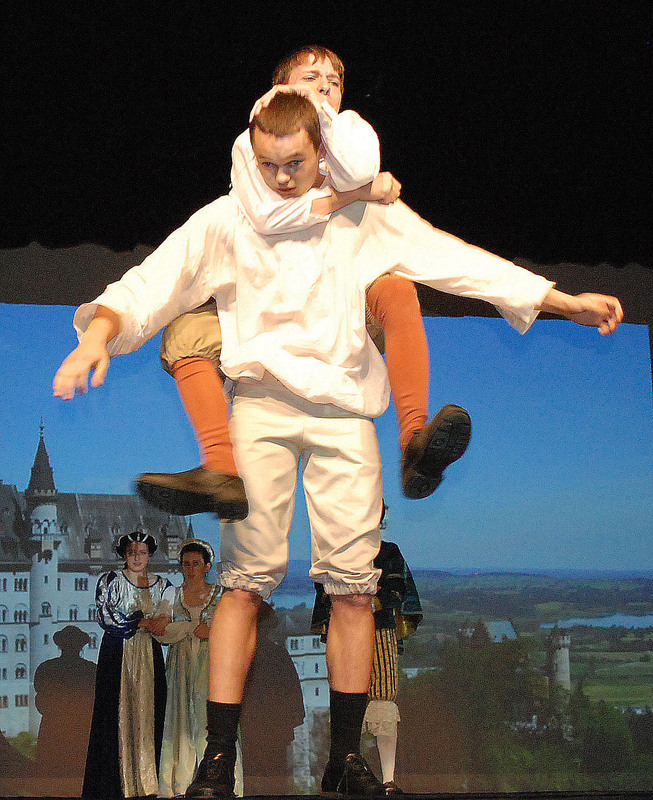 By the roar of RHS the days following the production it is safe to say that the production was a success. The cast and crew were pleased with the oucome as well as the directors. The crowd thoroughly enjoyed the high energy production including fun filled songs and choreography by the award winning musical by Jim Jacobs and Warren Casey. The cast and crew of Grease! Shandi Austin, Michael Bodley, Madison Parlee, Morgan Foster, and Kellie Berry and Ryan Struzziery are the T-Birds. Veritas Photo. Mike Bodley, Ryan Struzziery and Sophie McLellan before the show. Shandi Austin who played Kenickie gets into character before dress rehearsal. Directors Kendra Donovan and Joanne White look on as Kerin Dalton adds the finishing touches to Erin Fields’ ribbons. Madison Parlee as Roger and Erin Field as Jan in finale. Michael Bodley (Doody), Morgan Foster (Putzy), Kellie Berry (Sonny) and Shandi Austin (Kenickie). Sophie and Ryan in Greased Lightning at the drive-in. Adam Royle, Ryan Struzziery, Megan Diver and Kimberlie Jean-Poix doing the hand jive. Angelica Pacombe (Teen Angel) sings “Beauty School Drop-out” while Erin Field, Bonnie Gasdia and Allison Landy in the choir. Danny (Ryan Struzziery) joins the track team while Doody (Mike Bodley), Sonny, (Kellie Berry) Kenickie (Shandi Austin) and Frenchy (Jurnee Dunn) look on in disbelief. Adam Royle (Eugene) and Kimberlie Jean-Poix (Cha Cha Digregorio) with Ali Landy and Megan Diver. Ryan Struzziery and Sophie McLellan as Danny and Sandy. Veritas photo. The Rockland High School Theatre Guild will perform the musical Grease on Friday, Dec. 9 and Saturday Dec. 10 at 7 pm in the Rockland High School Auditorium. Tickets can be purchased in advance at ShowTix4U.com for $6. Tickets will also be available at the door for $8. The cast and crew have been rehearsing since the beginning of October and directors, Joanne White and Kendra Donovan say they are pleased with the progress they have made. Sophie McLellan has the lead role as Sandy Olsson, and Ryan Struzziery will play her leading man, Danny Zuko. The Theatre Guild is excited for opening night on Friday, December 9. Don’t miss this high energy production with the songs and choreography you’ll remember from the award winning musical by Jim Jacobs and Warren Casey. 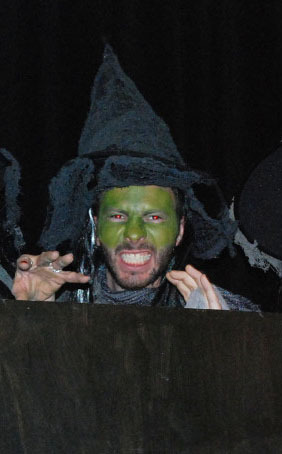 Do you recognize this witch from the 2013 Shakespeare Festival? 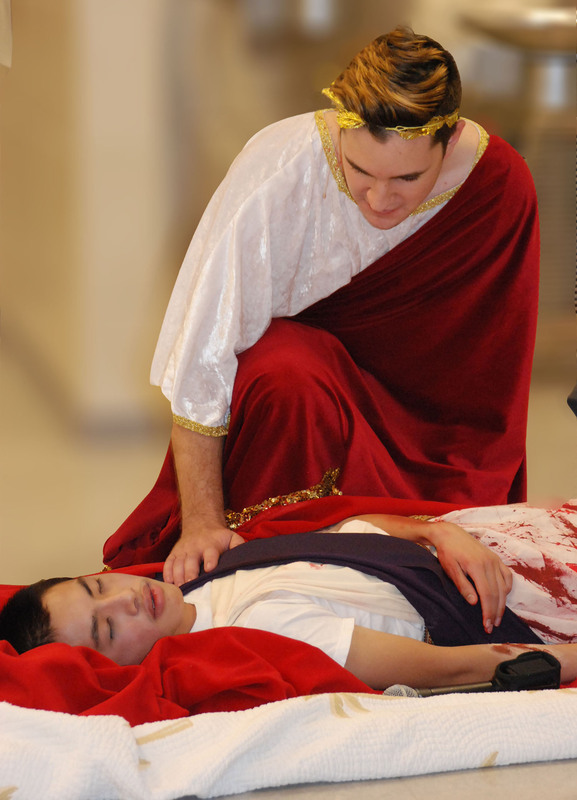 Every two years or so Rockland High School puts on a highly anticipated and well put together Shakespeare Festival to commemorate the classic works of art from the great poet and playwright William Shakespeare. This spring we will be putting it on yet again. Auditions will take place on December 13-14 in the RMS/RHS Lecture Hall. For scripts and additional information see your English teachers. Students of all ages and experience are welcome to participate. English teacher, Ms. Walsh is in charge of the production with the help of many faculty and staff members. The following photos are from the Shakespeare Festival in 2013. The cast of Henry V take their bows: Danielle Hill, Lisa Howes, Christianne Daley, Pearse McNally, Chris Landy, Ryan Sugrue and John Kamande. 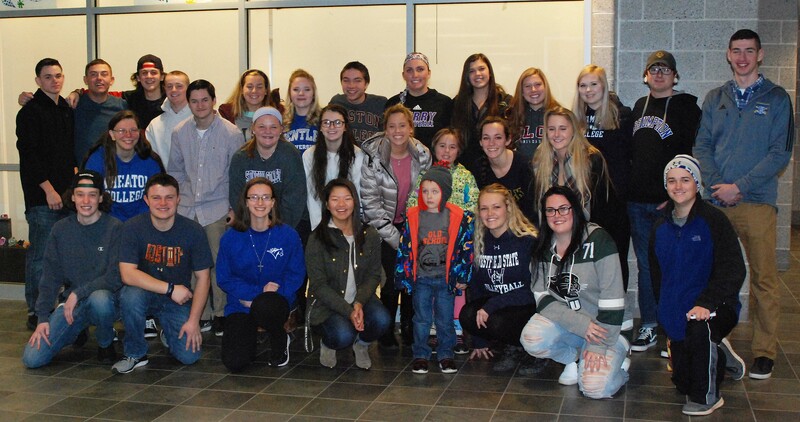 Many students from Rockland High School as well many Rockland citizens took part in the Holiday Stroll on Nov. 26. Enjoy the festive atmosphere in this WRPS/Veritas video!